Elegant but tough, our girls' shirts and blouses are made for the job. 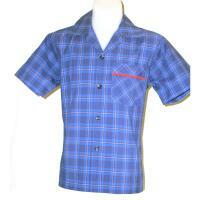 Branded has a range of off-the-shelf shirts and blouses in poplins, gabardines, cotton blends and more. 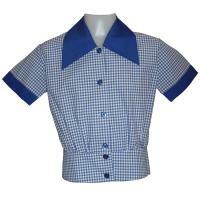 We also custom-make shirts and blouses for schools that want a unique look, incorporating special and custom fabrics and finishes including custom checks, tartans and stripes. 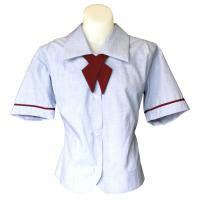 Some of our garment patterns are cut in traditional styles with rounded collars and puffed sleeves. 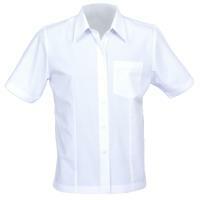 While others are in more modern cuts with sharp lines and sleek trim. 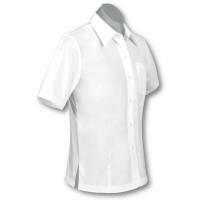 In either case, our shirts and blouses are well-fitting, comfortable and practical. 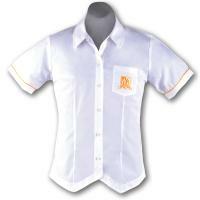 We personalise every shirt and blouse with a sharply embroidered school emblem. 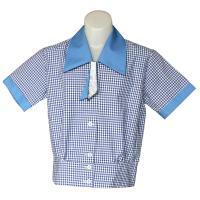 See below some examples of our girls' shirts and blouses. But, as always, contact us to discuss our full range and your exact needs.